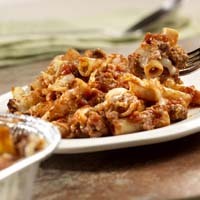 "Baked ziti is the ultimate comfort food, and this recipe is so easy to make. The Grandpa Pete’s Vodka Sauce adds a nice twist on this tradition recipe. " Save 5%, 10%, or 15% on your holiday order! Whether you're buying for the whole family or just for yourself we want to make sure you save money this holiday season! Use one of the coupon codes below and save on your next Grandpa Pete's order. But HURRY this offer expires December 22nd! Offer only applies to online orders.